It seems like a very long time indeed. I haven’t posted here because, well, I had my own work to do. 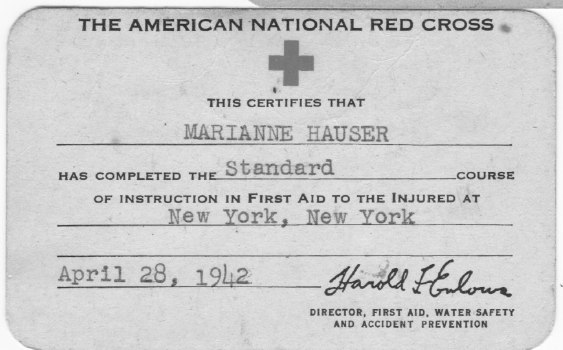 The Marianne Hauser project though is along term project. I continue to be in touch with Michael, Hauser’s son. 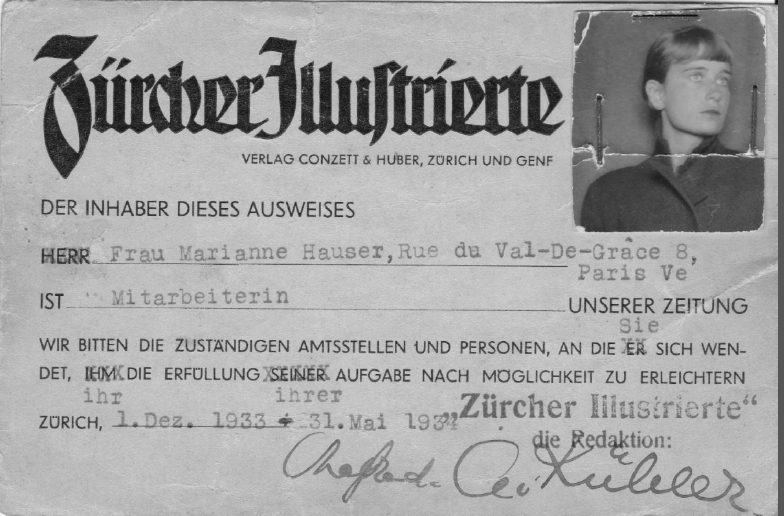 And he recently sent me these photographs, of Hauser’s early credentials. 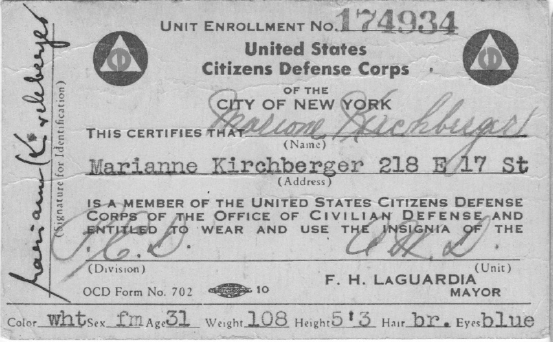 Marianne Hauser professed Creative Writing at Queens College when I studied there. I truly loved her, and even, one summer or two, apartment-sat for her, when she lived in an NYU building. Thank you so much for keeping her alive for me now. I miss her. Thank you so much for commenting! I am hoping to write a book about her someday and would welcome any anecdotes, memories, impressions. All of her contemporaries are now dead, and even her son, whom I know, is in his 70s. So I’m trying to gather as much info as possible before writing. Please let me know if you have anything you wish to say, by email or phone, or on this website. be well and thank you again. 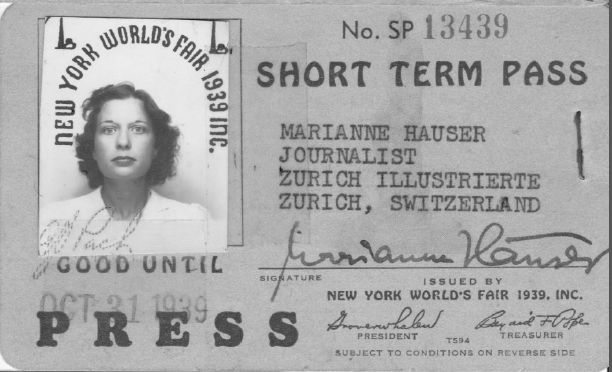 Hi, Jon – and many thanks for writing about Marianne Hauser. I took her course at the New School, Fall 1985, when Alice Morris asked her to take the semester – Alice at 80+ no longer able to teach. My memories of Marianne: A small woman, sitting underneath peeling, 1930s murals. She came to our first class in a long, red and white striped stocking hat, oversized sweater, red leggings and sneakers. I took to her at once! Marianne panicked when she walked into the classroom and found so many of us. She told us she was very busy working on her own novel and wouldn’t have time to read much from us. I reassured her, telling her we always lost quite a few people after the first class. Sure enough, we shrunk to about 20 and only half were writing. Marianne, still worried, would only accept stories of one page in length. This forced me to learn editing, something for which I’ve been forever grateful. Her comments were always helpful – for instance, when I complained about those murals, she said: “If you’re going to be a writer, do not reject anything, Kay!” A concise and wonderful lesson I’ve never forgotten. Thank you, Kay. I am so happy her former students are finding their way to this website. I wish I had met Marianne. Your description of her is delightful! And of her teaching. She really loved her students, and she was deathly afraid of teaching.Alice was her editor at Harper’s Bazaar, and very important for her novel Prince Ishmael. I believe Marguerite Young (whom she was not longer speaking to) was also teaching there.